12 Feb 2019 --- The UK food industry has threatened the British Government with breaking off cooperation at this time of “potential crisis” as the countdown to Brexit continues. In an extraordinary move which signals how industry is in full Brexit crisis management mode, business leaders of more than 30 trade organizations within the UK’s farming and food and drink supply-chain, have come together to write a warning letter to Environment Secretary Michael Gove. It says that businesses are now “totally focused on working to mitigate the catastrophic impact of a no-deal Brexit” with large amounts of time, money, people and effort being diverted to that end – and it cannot be “business as usual” within government. As the letter points out, in fewer than 50 days the UK will leave the EU and the legal default is that “we will do so irrespective of whether or not we have signed a withdrawal agreement and, at present, that no-deal Brexit looks ever more the likeliest outcome,” it says. As a result, the letter says the industry cannot deal with non-Brexit related policy consultations or initiatives at this time and urges the government to “pause” on non-Brexit related issues. “At this moment of potential crisis for our industry, it cannot be ‘business as usual’ within government. Neither we nor our members have the physical resources nor organizational bandwidth to engage with and properly respond to non-Brexit related policy consultations or initiatives at this time. Government has recruited many extra staff; we cannot,” the letter states. “If government seeks to press ahead with these consultations it will be seen by some as a sign of bad faith and many organizations may decline to respond,” it adds. Ongoing consultations, the organizations and trade bodies say, should be delayed include a tax on plastic items with less than 30 percent recycled content, further advertising restrictions on foods high in fat, salt or sugar, a clean air strategy and a national action plan on pesticides. 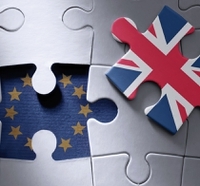 As the UK food industry has been reiterating for many months, a no-deal Brexit would have huge implications for businesses, supply, logistics, price and much more as the sector is enormously susceptible to the trading challenges that a no-deal Brexit presents. This letter closely follows another from some of the UK’s largest retailers who joined forces to warn government that a “no-deal” scenario threatens the UK's food security in the short-term – as shelves could be left empty and food prices will spike. There have been multiple calls for clarity over the last year or more from industry leaders desperately trying to find a pathway through the Brexit maze. A Barclays report also warns that failing to reach a Brexit deal could end up costing £9.3 billion (US$12.2bn) a year as food retailers and their supply chain face a mass of additional tariffs as a result of the UK not negotiating a trading deal with the EU. Earlier this year, a Rabobank report said that in the event of a hard Brexit, the UK will become a “third country” to the EU, which in practice, means that UK companies lose access to the EU market for exports of most agricultural products, due to the introduction of import tariffs at the EU border. And experts have also warned that the pan-European plastics sector will be the hardest hit in the event of a “no-deal” Brexit. Signatories of the latest letter include the UK Food and Drink Federation (FDA), Agricultural Industries Confederation, Association of Bakery Ingredient Manufacturers, Association of Cereal Food Manufacturers, Association of Labour Providers, British Coffee Association, British Food Importers and Distributors Association, British Growers Association, British Meat Processors Association, British Specialist Nutrition Association, Federation of Bakers, Dairy UK, Council for Responsible Nutrition UK, Fresh Produce Consortium and the National Farmers’ Union.